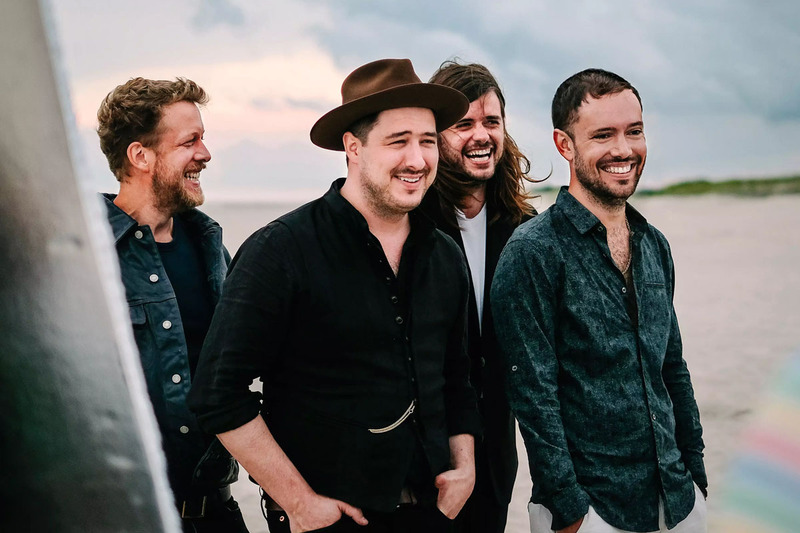 MUMFORD AND SONS, who have just released their fourth album, Delta, have tonight announced that they’re having to postpone a good chunk of their UK tour which started this weekend. Citing “unforeseen technical and logistical challenges,” the band seem to have fallen foul of a “groundbreaking” stage production. Cursed ambition. And fans are far from happy. “Dear friends,” their full statement starts. “It is with a really heavy heart that we have been forced to postpone four shows on this UK tour due to unforeseen technical and logistical challenges. “As you may know, the Delta Tour is by far the most ambitious show we’ve put together and we have had to free up some space in the schedule to be able to execute it, given some obstacles that have come up in production. “As we also hope you know by now, we never postpone shows lightly, in fact it’s something we try to avoid at all costs – so this decision has been incredibly difficult to make but in this case we have no other choice. The truth is that it is simply not humanly possible to play these particular shows at this time and we are sorry the reality of that only truly landed after we completed Belfast yesterday. “Original tickets will be valid for the rescheduled dates and for those who may be unable to make the new dates, you will be offered a full refund from the point of purchase. Please head to our website for more info. Not the best start to their world tour, but luckily, they’ve managed to save their Leeds show at the First Direct Arena on December 1. Tickets have all but sold out, so here’s hoping the show goes off without a hitch. In other M&S (not the high-street store) news, they’ve made and are auctioning off bespoke customised banjos for each region of the Delta tour. Their UK shows (minus the four they’ve postponed) will help raise money for stillbirth and neonatal death charity Sands. For more info, visit gentlemenoftheroad.com.